The Fuel Management System addresses Gas Stations, Oil Warehouses and private-sector companies using tanks, pumps (Transportation Companies, Construction Companies, etc.) and public services (Municipalities, Hospitals etc.). By applying the Fuel Management System, each station operator is able to check at any time the fuel level of each tank with absolute precision. 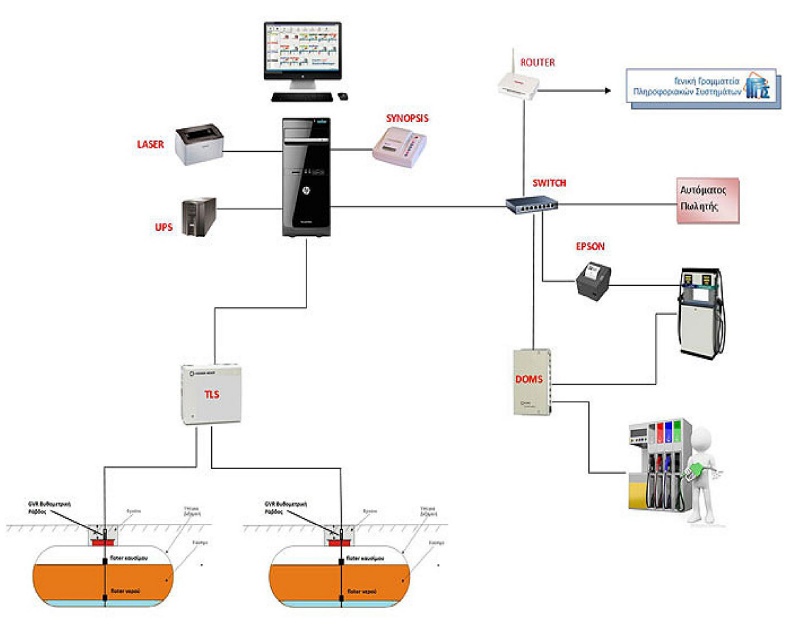 The same system further connected with all pumps at the service station records each sale made. The correlation of the quantity of fuel that exists in the fuel tanks, and the quantity allocated to serviced vehicles, allows, in addition to the financial control to be carried out by financial services, the identification of possible fuel leaks to undesirable recipients (underground leaks, illegal transportation of fuel to unlawful stations, warehouses etc.). Below you can see a detailed profile with a complete illustration of the Fuel Management System and the solution applied by RayCom.